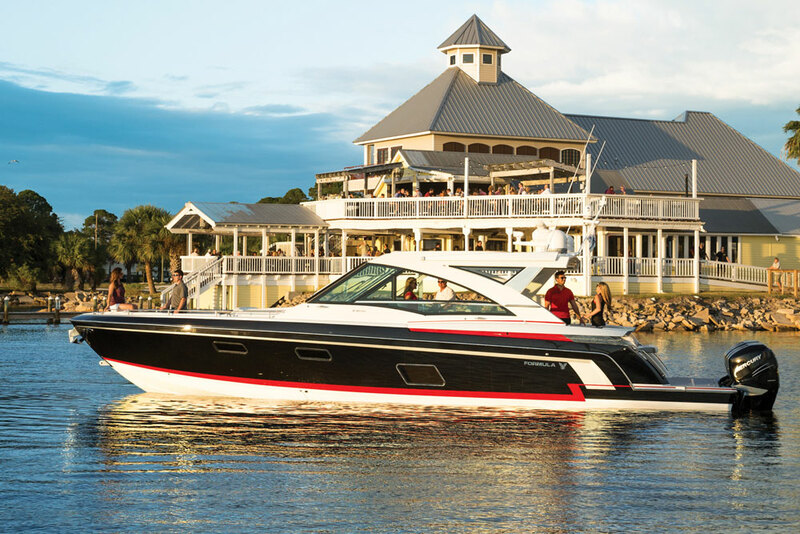 Is this 2015 powercat a mere boat, or does it attain yacht status? 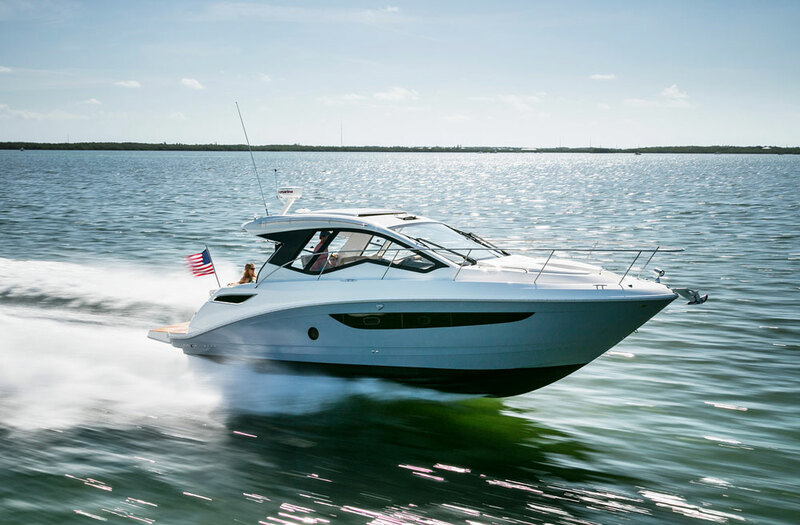 You won't find many boats or yachts that have the space of the 2015 Horizon PC52 at only 52 feet long. 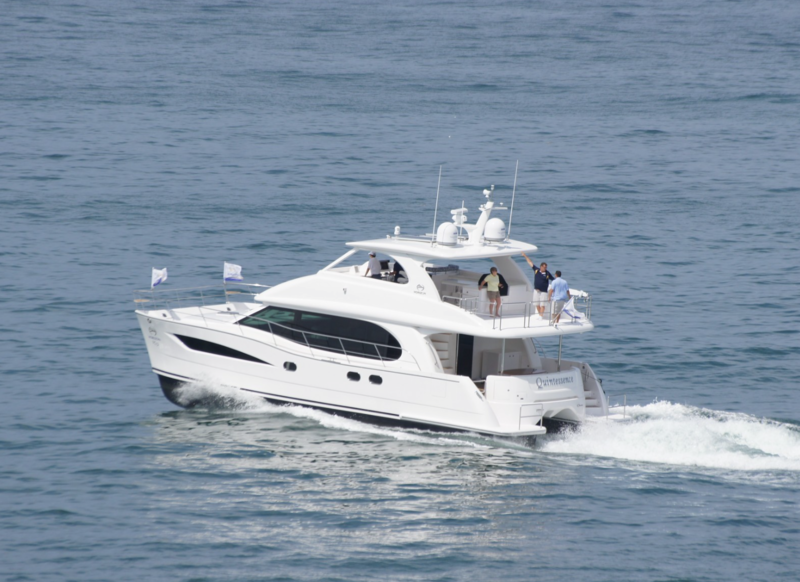 This powercat makes up for less LOA with more beam, and it stretches a whopping 22' across. 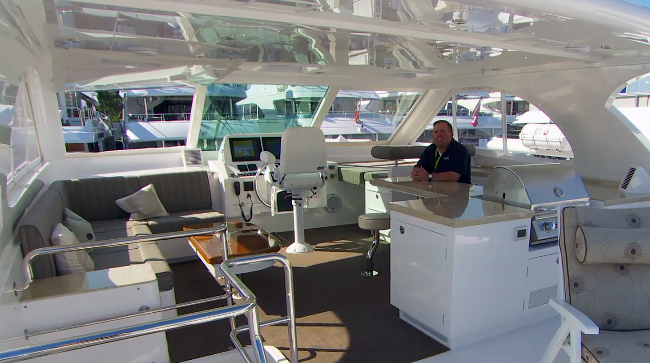 Reviewer Gary Reich found a PC52 at the Fort Lauderdale International Boat Show, and stepped aboard to shoot this short First Look Video. In case you didn't notice, in the saloon and cockpit, the Horizon PC52 really does seem more yacht-like, for sure. Yet (again thanks to that powercat design) it needs just 1,100 horsepower (via a pair of Cummins QSB 6.7 550 HP diesel inboards) to provide either a high-efficiency trawler-like cruise of eight knots, or a "fast" cruise of 17 knots. 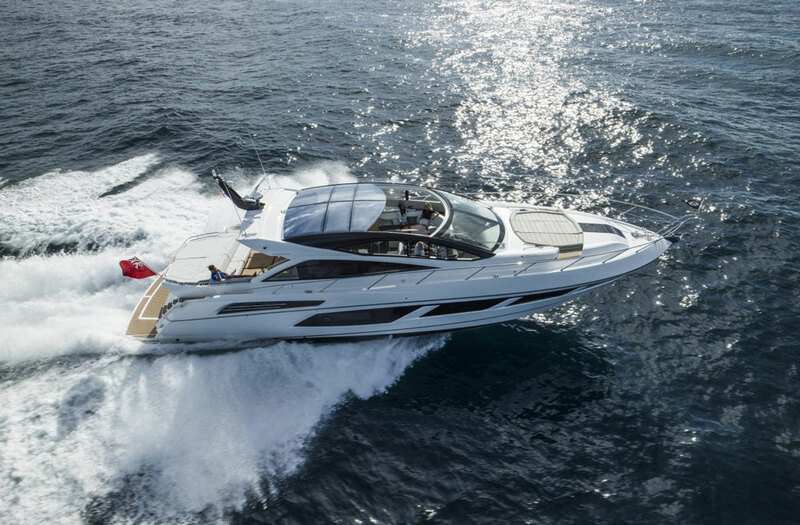 Plus, top-end is a hair over 20 knots. Another high-point Gary didn't have the time to cover in the video is the "Skylounge". 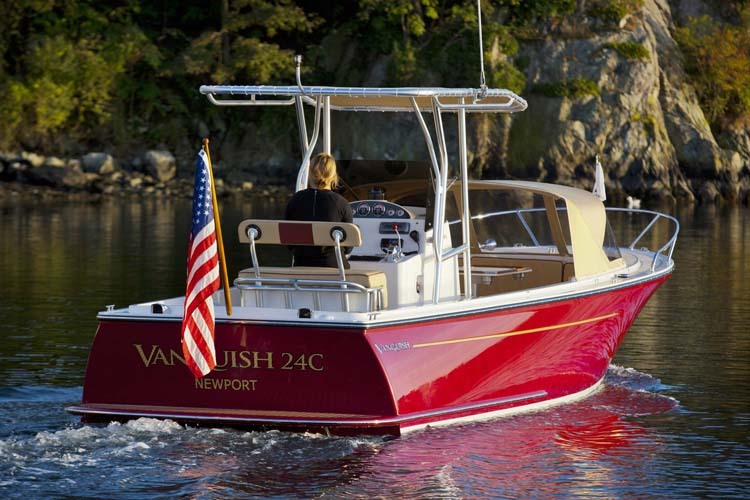 This is really just a fancy name for the flybridge, but this bridge is so bodacious, it deserves a special name. Horizon left the front and parts of the sides open on the boat we saw, so you can enjoy fresh salty breezes while still having the protection of a huge hard top. But those who want it fully enclosed can say the word, and Horizon will accommodate. Either way, thanks to all that beam the bridge is simply massive. 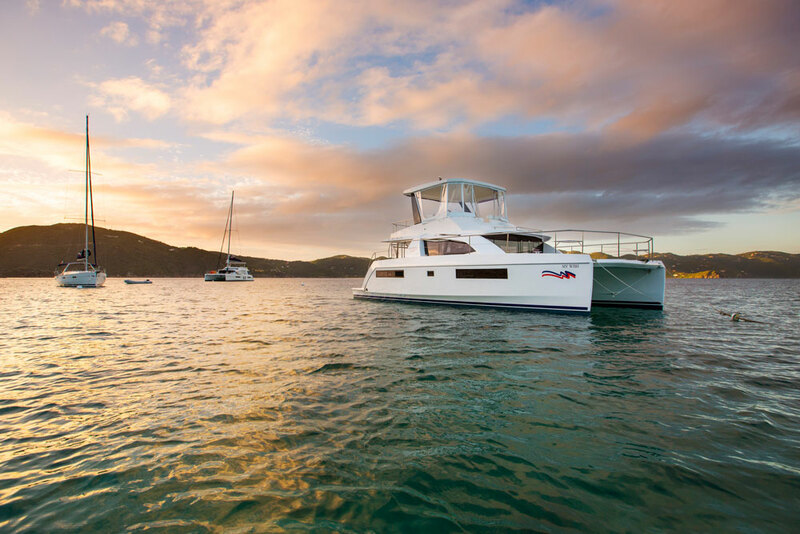 It's accessed via stairs, not a ladder, has a helm and dining space for six, and can be equipped with a wet bar and a grill. In fact, there's even room for a crane and a tender (up to 12'). Want to learn more about the Horizon PC52? 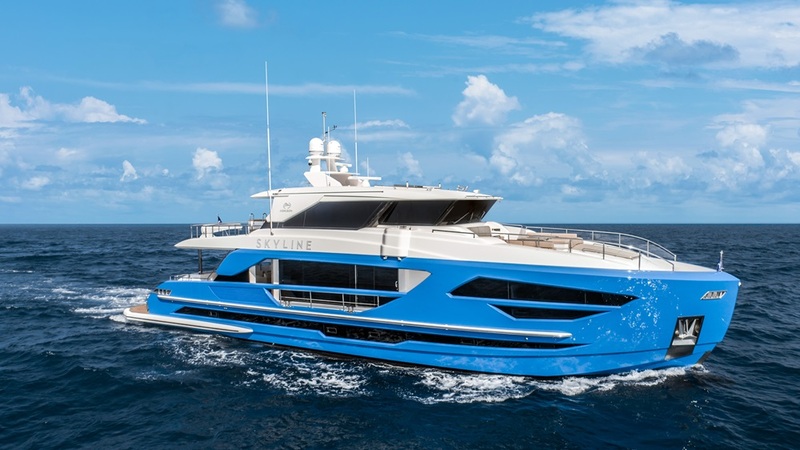 You could always visit Horizon, but for an unbiased review of the boat, check out Horizon Yachts PC52: Mini Megayacht, the full boat review written by Gary Reich. 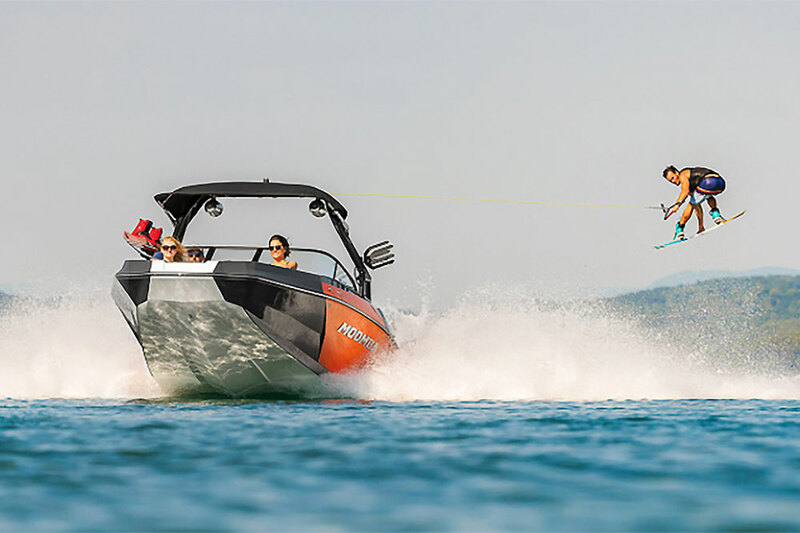 Or, compare it to the competition; we can give you an in-depth look at a slightly smaller competitor in the 2014 Aquila 48: Video Boat Review, and we have a review of a larger option in Sunreef 60: A Power Catamaran with Pod Drives. You say your mind's made up, and you want to start shopping for a Horizon PC52? This link will take you to Horizon PC52 listings, which you can check out right now.